Coolamon District Photographic Honour Roll commemorates those who served in World War One. Photographs for the roll were donated by families in the Coolamon District. Not all servicemen who enlisted from Coolamon District appear on the roll. The Photographs on display have been donated by the Coolamon Community. 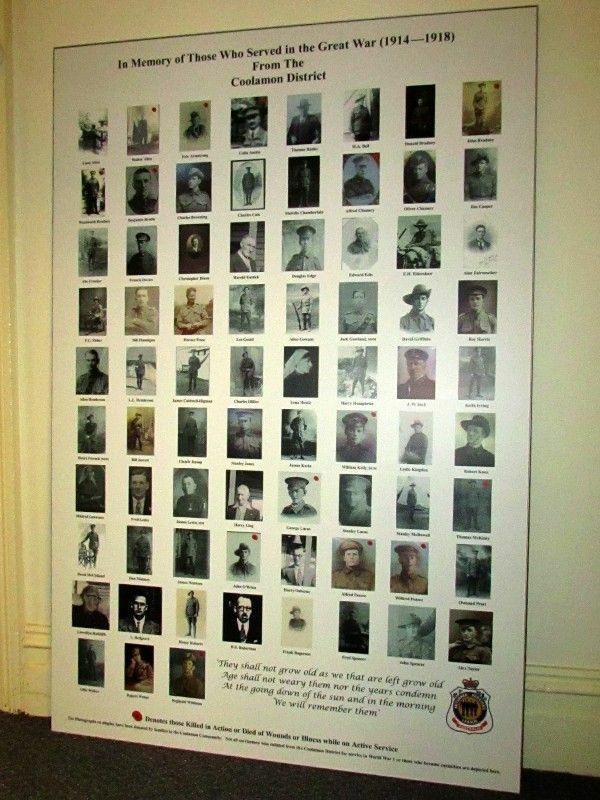 Not all servicemen who enlisted from Coolamon District for service in World War 1 or those who became casualties are depicted here.